(i) Non-members of AUK may be required to obtain temporary membership of AUK for the duration of an event. (ii) Minors may take part, providing they have the consent of their parent or legal guardian. (i) The cycle is propelled solely by human effort. (ii) The responsibility for ensuring that a machine complies with the road traffic laws rests solely with the rider. Riders agree that they are on a private excursion and are responsible for their own safety and conduct. Riders must follow the rules of the road and show consideration to other road users. Riders who infringe AUK regulations, ignore event officials’ instructions, or behave in a manner likely to bring an event, an organiser, or AUK into disrepute may be excluded from the event and from future AUK events. Participants may ride singly or in groups and may pace each other but may not be paced by any other cyclist or motor vehicle. Organisers may provide support such as food and rest facilities at controls and route guidance. Riders remain responsible for their own welfare and may stop for food and rest at any place. (i) Personal support is only allowed at controls. (ii) Not to drive a motor vehicle on a section of route in use by riders, except within 1km of a control or in the case of an accident or emergency. (iii) The rider will be held responsible for the behaviour of their personal helpers. All riders must have 3rd party liability insurance cover for the duration of an event. 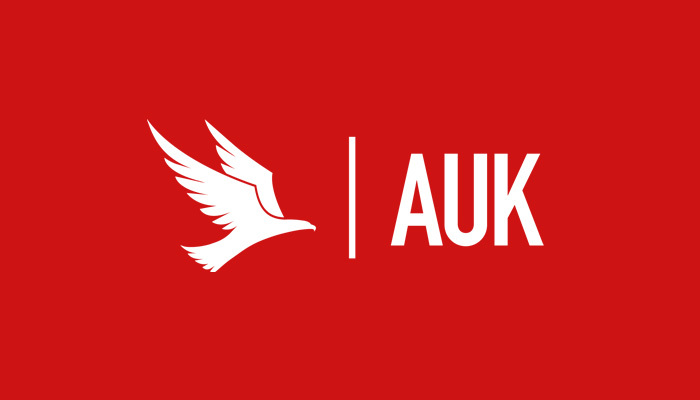 (i) All AUK members, including temporary members, who are normally resident in the UK, are provided with private 3rd party insurance while participating in the event. (ii) Non-UK residents must arrange suitable insurance cover. (iii) AUK has public liability and employer’s liability insurance for organiser’s (and their helpers) of events registered with AUK and for members acting in a voluntary capacity for AUK as directors, officials, committee members or delegates. AUK regulations state ‘all riders must have 3rd party liability insurance cover for the duration of an event’. To promote access to AUK events, public liability insurance is provided by AUK’s insurers to affiliated and temporary members normally resident in the UK, the Channel Islands or the Isle of Man. This insurance applies to Audax UK authorised events in the UK, Channel Islands and Isle of Man. Cover commences when riders sign on at the assembly point for the event and ceases from the point when the event closes, or from the point the rider signs off on completing the ride or otherwise abandons or cuts short the ride. Riders alleged to have been at fault for an incident where a third party has been injured, or their property damaged, are provided with up to £5 million of Public Liability cover in respect of a successful third party claim. The policy is subject to a £500 excess payable by the rider incurring the liability. The policy covers legal liability for damages, legal costs and expenses in the event of negligence only and does not cover deliberate acts. AUK insurance does not cover everyday cycling, riding to and from an event or participation in CTT events as AUK members and it does not cover any other risks. Members are therefore strongly encouraged to take out individual insurance to cover their cycling activities generally. Employee Liability, Public & Products Liability cover is also provided for AUK staff and volunteers, i.e., all those involved in delivering Audax UK authorised events including registered organisers and helpers. Full details of insurance policies, the cover provided and the restrictions which apply are available on application to the General Secretary.